I’ve been “working on” the Pagan Lands for years. By “working on,” I mean that I’ve been wrestling with my ideas for what to actually do with it. It was originally my home campaign, but then I got a wild hair to retool it as a retroclone, and then I set that aside to do it as a setting-agnostic pick-up supplement, then it returned to stasis as my Belluna and Tarsemine games became active, but it has always remained vital as a work-in-progress labor of love, and it’ll probably be the next extended campaign I run. 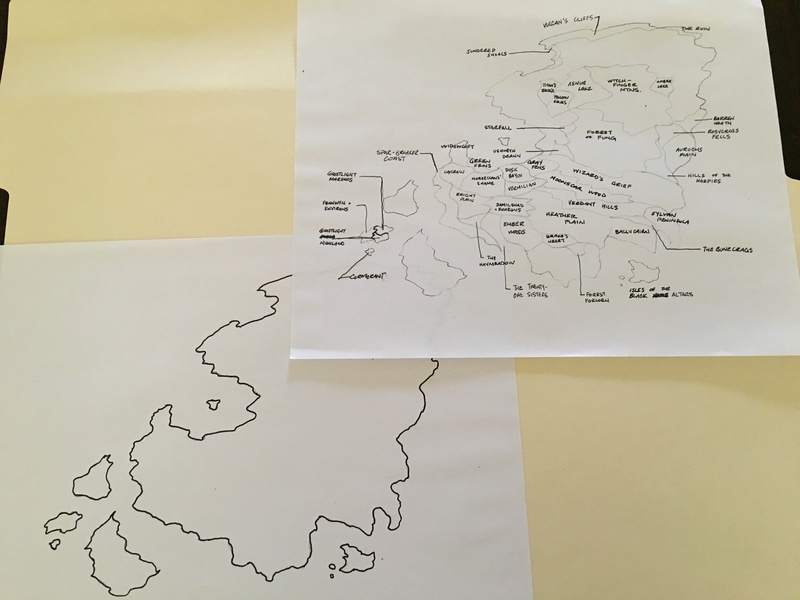 While I was straightening the home office this weekend, I went through my notes folders and found myself doodling in the rough regional map that’s grown over the course of the project. The map is intentionally ugly (the better to make quick changes without invalidating a bunch of art) and I’m not a gifted cartographer anyway, but it serves its purpose as a sort of geographical flowchart by which the players can move from one cluster of encounters to another. Each of these regions represents a different opportunity for action, the “what is happening here?” in which players can involve themselves — or to leave unmolested if it doesn’t suit their tastes. Think of these regions somewhat like the Ravenloft domains or the territories of the Wilderlands of High Fantasy, a themed experience that the players’ choices can directly affect. Most importantly, knowing a region’s theme doesn’t rule out events can occur there, it only suggests the sorts of events the players are most likely to encounter. As with one of the core Magic precepts, if the theme isn’t accessible and discernible from the most common interactions with it, it won’t emerge as a theme. Naturally, a separate collection of random encounters also helps to populate the Pagan Lands. Not every event that transpires in a given region needs to touch upon that region’s theme or central event. Most do, however: Each wandering encounter table consists of events or creatures that could easily have connections to the theme. Demihumans encountered in the dead city are probably there plundering the linnorm’s hoard. Pilgrims encountered near Vulcan’s Cliffs are likely deranged cultists of the Sea God. Encounters near the Starfall have probably been exposed to the celestial body’s residual energies. 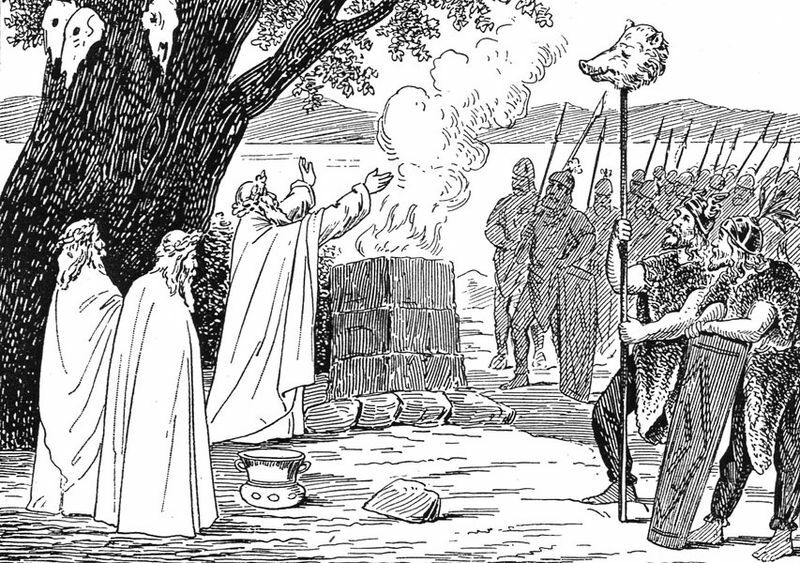 So it looks like I’ll be headed back into the Pagan Lands soon, and I’m looking forward to it. Although it’s a weird place, it’s like coming home.